My card design was inspired by TGIF Challenges #198. I started by adhering a panel from the Botanical Butterfly DSP (Sale-a-bration item) to a panel of Highland Heather card stock with SNAIL. I cut panels of Highland Heather and Lemon Lime Twist card stocks with the Beautiful Butterfly Thinlits Dies. I adhered the die cut pieces together with Multipurpose Liquid Glue and then I snipped the butterflies apart with my Paper Snips. I adhered the larger die cut with Glue Dots placed under the right side only to the card front. I stamped the sentiment from the Butterfly Gala photopolymer stamp set in Gorgeous Grape ink on a panel of Gorgeous Grape card stock and then cut it out with a Rectangle Stitched Framelits Die. I stamped the dot image from the Beauty Abounds stamp set in Highland Heather ink over the panel and then adhered it to the DSP panel with Stampin’ Dimensionals. 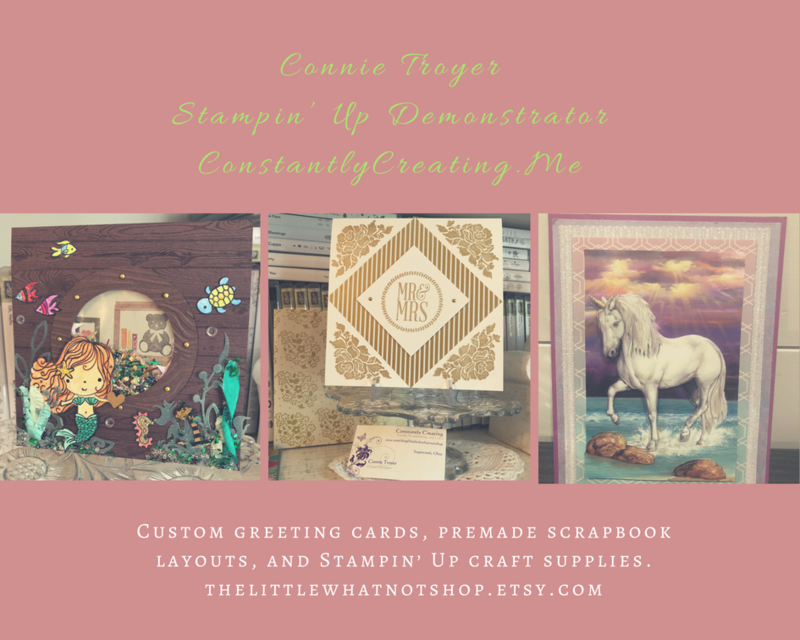 I adhered the smaller butterfly die cut with Mini Stampin’ Dimensionals and a Glue Dot to the card front and adhered the layered panel to a Gorgeous Grape card base with Stampin’ Dimensionals. I added three Glitter Enamel Dots around the sentiment to finish the card front. I stamped the butterfly and dot images from the Beauty Abounds stamp set in Highland Heather and Gorgeous Grape inks on a panel of Whisper White card stock to finish the inside of the card. ***Quick Reminder: The 2017-2019 In Colors (Lemon Lime Twist, Berry Burst, Tranquil Tide, Powder Pink and Fresh Fig) will likely be retiring at the end of this Annual Catalog in early June. The retiring list will be announced in mid-April and the retiring In Color card stock, ink refills, Stampin’ Write Markers and ink pads often sell out very quickly once that list is announced! Sale-a-bration is a great time to stock up on those retiring colors so that you’ll be guaranteed to get them AND earn free Sale-a-bratiton items while you stock up! 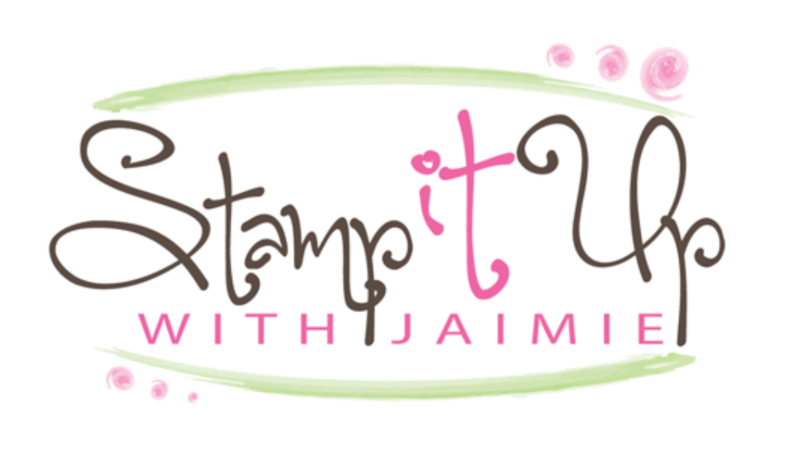 Stuck On You Valentine Ordering Bonus – From Stamp With Amy K! You can see all of the details about my ordering bonus in my blog post here. This entry was posted in For a Friend, For You and tagged Beauty Abounds, Butterfly Gala, CAS card, just a note card. Bookmark the permalink. ← Stuck On You Valentine – Ordering Bonus!! Great use of the sketch Amy!!! Your card is beautiful and full of life. Thanks for playing with TGIFC this week. Lovely card! I thought you didn’t like purple?? Great butterflies.